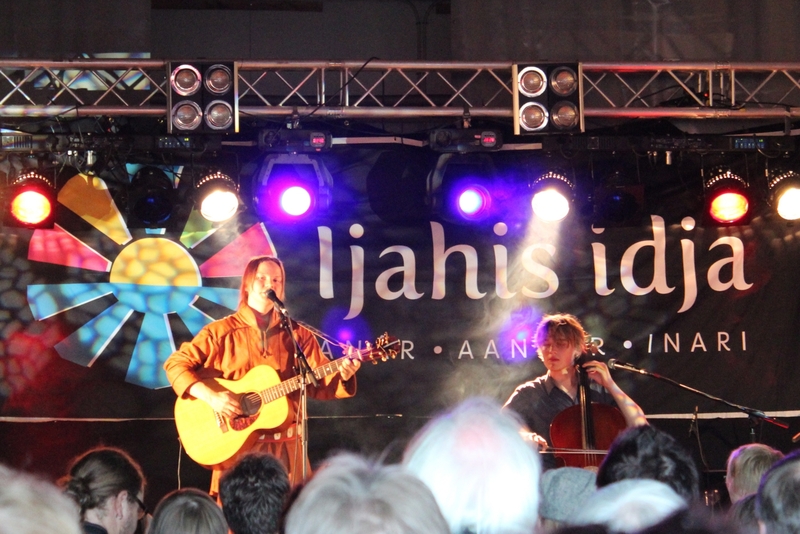 I recently attended the “Ijahis Idja (Nightless Night): Voices of the Earth” festival in Anár/Inari, Finland, hosted on the campus of the Sámi Education Institute. 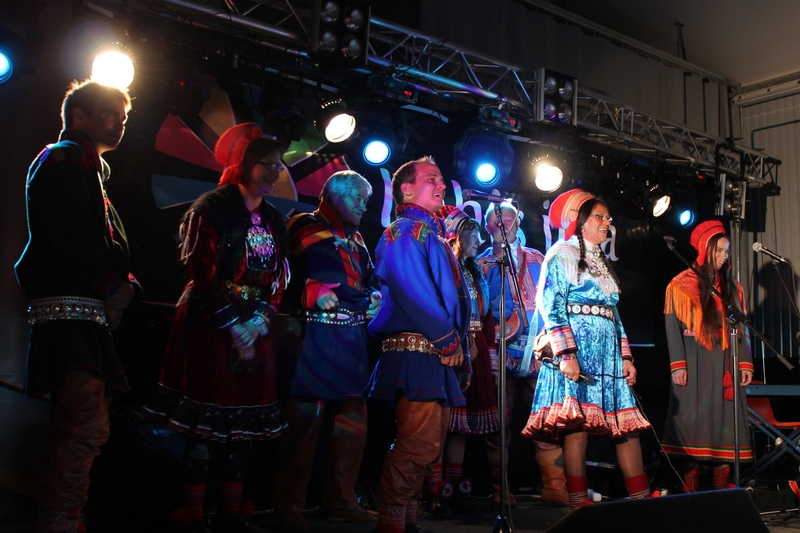 The event brought together talented musicians of various indigenous populations from the Nenets and Tuvans of Siberia to the Sámi, and drew large audiences from Finland, Norway, Russia, and elsewhere. The gáktis (Sámi clothing) of both performers and spectators alike were reflective of the diversity of Sápmi, and brought color and variety to the festival. The weekend also featured indigenous dance, theater, and music workshops, a smaller concert geared towards young people, and a four hour seminar reflecting the festival’s theme, “Voices of the Earth,” hosted by the Sámi Museum Siida. This latter event featured guest lectures on the topics of traditional Sámi yoiking (a unique vocal style) and the connection between the Sámi and their environment, indigenous music preservation among the Nenets of Russia, and the background and societal importance of throat singing in Tuva. The musical styles showcased at the evening performance included displays of Nenet drumming, a highly accomplished rendition of Tuvan throat singing, and the traditional yoik, alongside Sámi-inspired rap, rock, and other innovative fusions. The mix was highly eclectic, and what particularly stood out to me were the response of the audience to the various performances and the diversity of age groups represented at each. 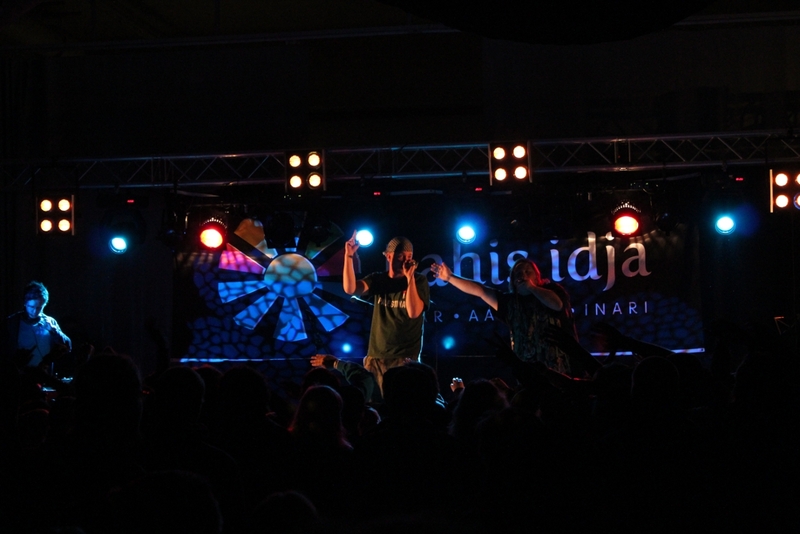 I witnessed Sámi youths looking reverently on as elders yoiked, and later their middle-aged parents moving to the rhythm of modern rap. 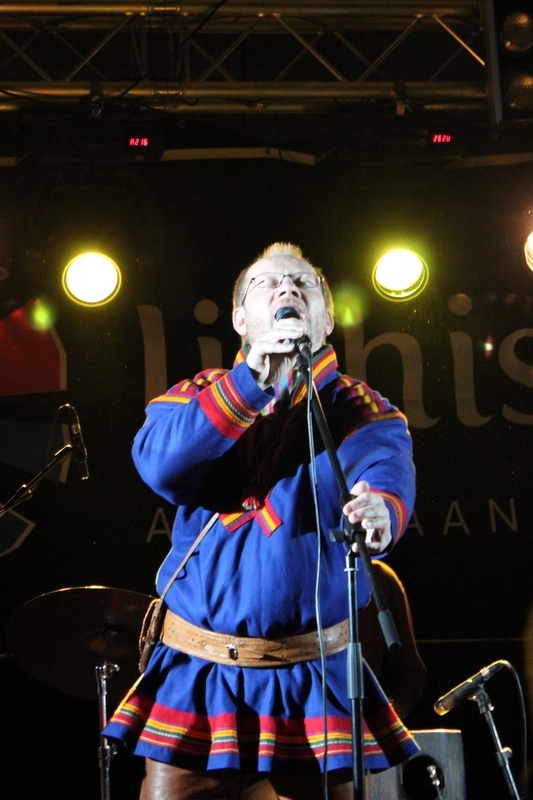 Sámi culture is continually evolving, a fact clearly demonstrated by the festival, yet one that goes seemingly unperceived by many people outside Fennoscandia. This is perhaps due to traditional western representations of indigenous cultures as static, their confines limited and perennially looking backwards to the past, rather than to the future. It is because of this mythic ideal that tourists flock to Lapland, hoping to encounter a people at home in nature, frozen in time as it were – untouched by the corruptions of modern society. This picturesque yarn, still spun perhaps for the sake of fostering tourism, soon begins to unravel. The visitor traverses the northern country, scanning his eyes in vain for the illusive Sámi herder, exotic in his brightly colored costume, driving reindeer through the streets of the local village. Ironically, some of those individuals the tourist might meet who match this description are often non-Sámi, dressed sloppily in what passes as native garb to the untutored eye, looking to cash in on Sámi heritage. At the same time, the tourist typically fails to notice the fashionably dressed Sámi young people, business owners, veterinary students, and even investment bankers, all talking on mobile phones and traveling from one place to another in the most modern of cars. These latter images intrigue me most, for they stand as striking examples of the Sámi people’s remarkable ability to adapt and change with the times. Theirs is a tradition of adaptation, adoption, and reinvention, processes evident in many aspects of modern Sámi culture and society. 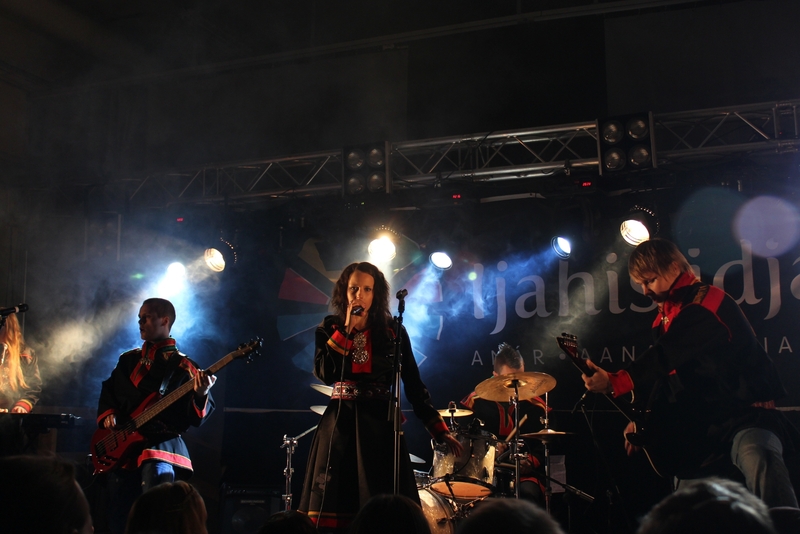 The distinctive Sámi dress and musical fusion displayed at the festival provide two salient examples. Sámi men adopted the tunic-like gákti from mainstream Europe in the Middle Ages and subsequently made it their own, so that today the colorful garb is immediately and solely associated by outsiders with the Sámi people and their most ancient of traditions. 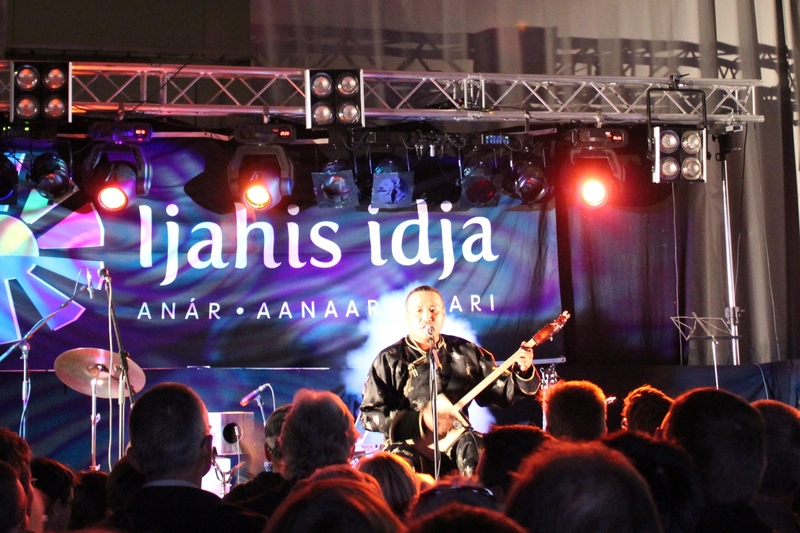 The rap music performed at Ijahis Idja, though African-American in origin, had been moulded by the local artists to Sámi sensibilities. The arrangements were performed exclusively in the Inari and North Sámi languages, a use of language as a medium of cultural creation that particularly struck me, in that Inari Sámi is language spoken an estimated 300 speakers. By rapping in this endangered language, the indigenous artists are helping to resurrect it through their art, a matter of cultural significance and, in my mind, a parallel to the medieval adoption of European dress: incorporating outside influences and shaping them to their own ends, needs and traditions. This adaptability may serve the Sámi well in meeting the continued challenges of mainstream cultural encroachment. This entry was posted in All, Fennoscandia, Fieldwork, Guests, Indigenous Peoples. Bookmark the permalink.